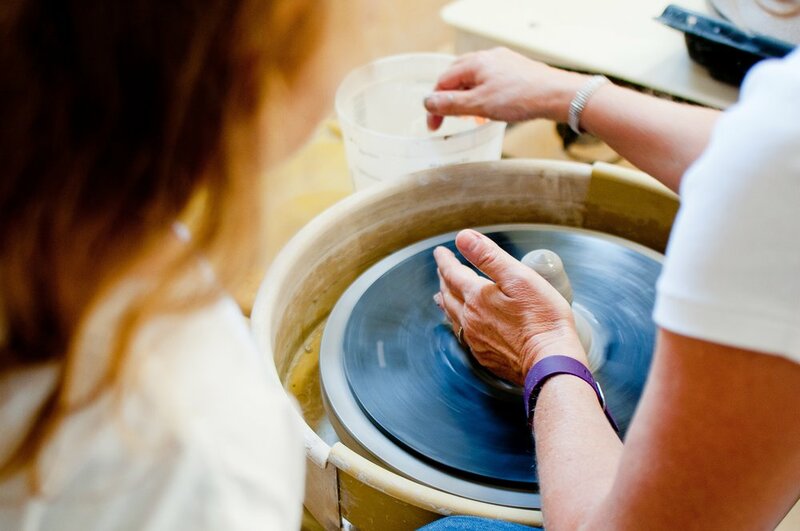 The Clay Room UK offers pottery classes and Members studio access in Orpington, Bromley. With great public transport links to London, the South East and surrounding areas, the studio is only 40 minutes from central London. Make a unique mug in this fun and creative workshop - Listed under Clay Taster Workshops on the BOOK NOW page. Suitable for families! In summer 2019, the studio will open its doors to new Members, as an Open-Access Ceramics Studio. Studio members will have open-access to the ceramics studio, its tools and equipment, as well as access to kilns. See the Membership page for more information. Sophie opened The Clay Room UK in March 2016 as a place to share her love of clay with as many people as possible. Sophie has been working full time with clay for over 8 years, she is a ceramic artist exhibiting and selling her work nationally and internationally. In 2018, Krista joined the workshop as the first studio member, and in 2019 she will be teaching classes on Mondays and Wednesdays. See Teachers Page to read more about Krista and her work.